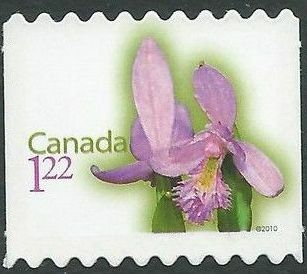 Date of Issue: 11.01.2010. Sc2350. 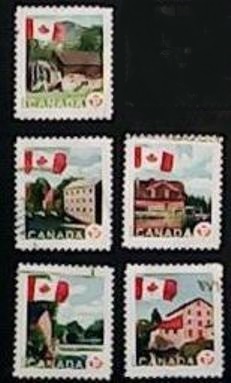 Mint Never Hinged Souvenir Sheet 5 x "p" se-tenant (joined) Permanent Flag over Mills. 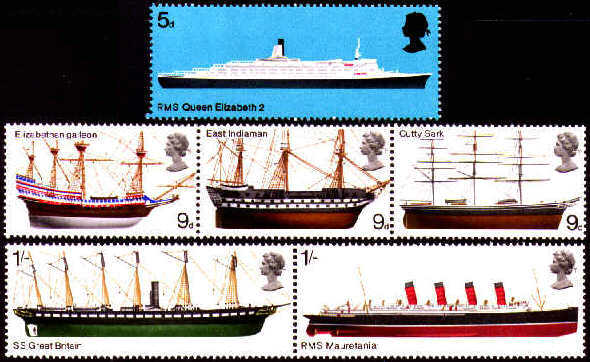 Date of Issue: 11.01.2010. Sc2358. 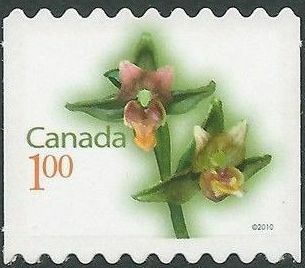 Mint Never Hinged Single from Coil - $1 Giant Helleborine Orchids Will be supplied on backing paper exactly as received from Canada Post. 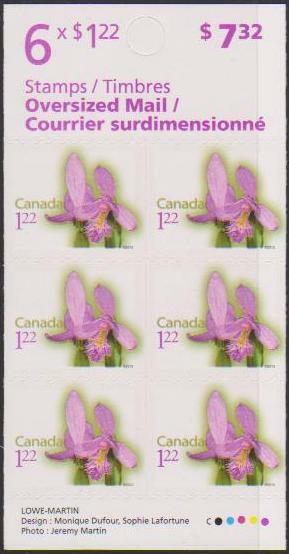 Issued 10 Jan 2010 Sc Pane 2359a Self-Adhesive - Perf Contains 6 x $1.22 Rose Pogonia Flower (Sc2359ii). 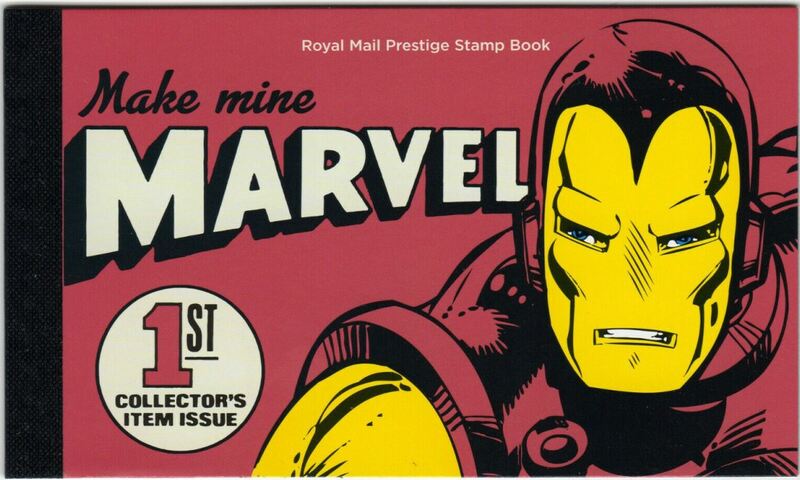 For posting on Oversize mail. Date of Issue: 11.01.2010. Sc2359. 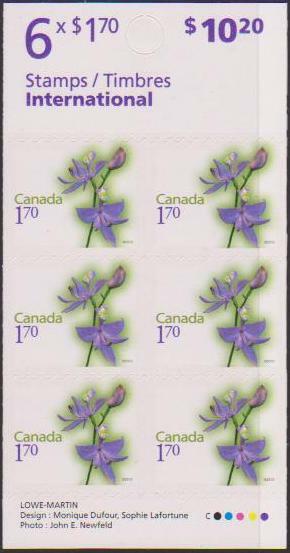 Mint Never Hinged Single from Coil - $1.22 Rose Pogonia Orchids Will be supplied on backing paper exactly as received from Canada Post. 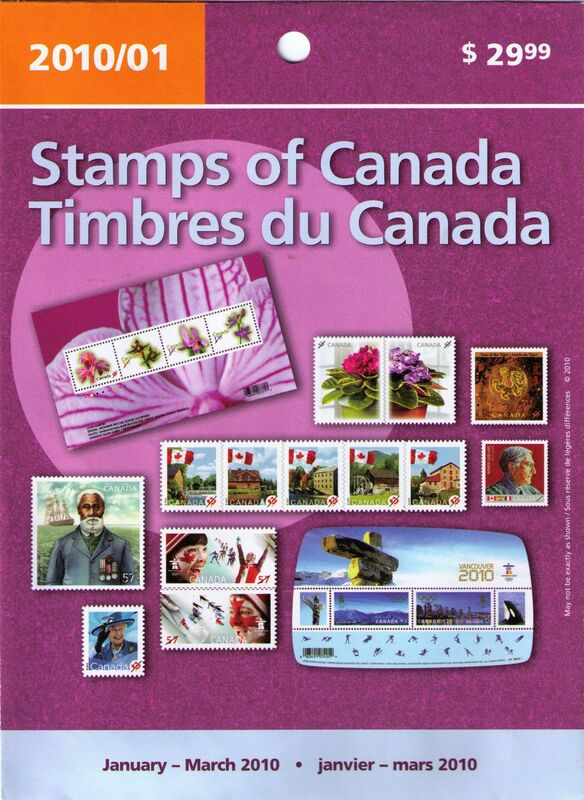 Issued 10 Jan 2010 Sc Pane 2360a Self-Adhesive - Perf Contains 6 x $1.70 Pink Grass Flower (Sc2360ii). For posting to international countries. 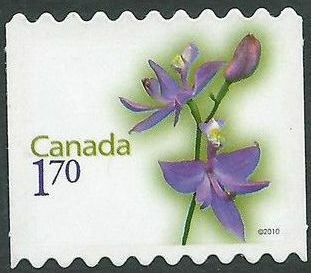 Date of Issue: 11.01.2010. Sc2360. 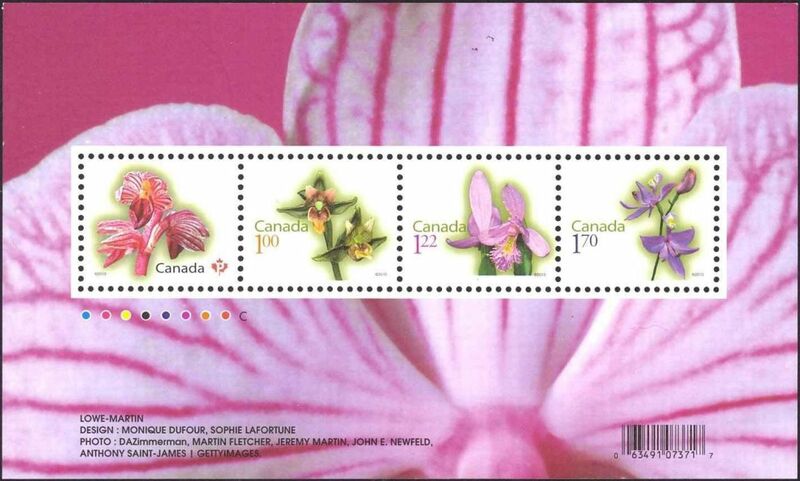 Mint Never Hinged Single from Coil - $1.70 Grass Pink Orchids Will be supplied on backing paper exactly as received from Canada Post. 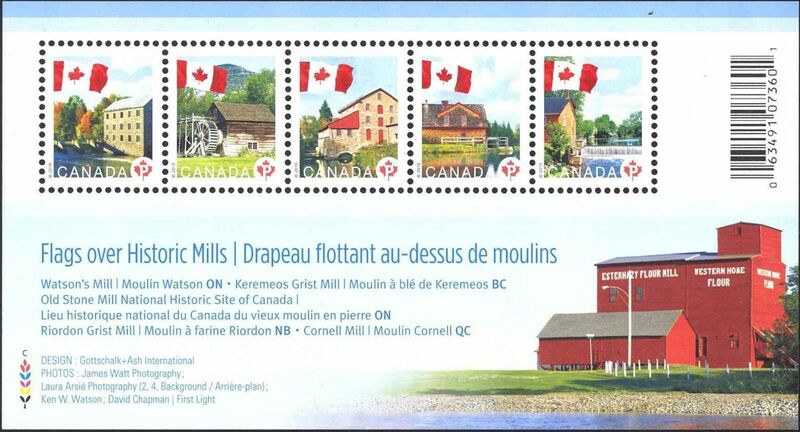 Issued 11.01.2010 Sc Pane 2365a Self Adhesive. 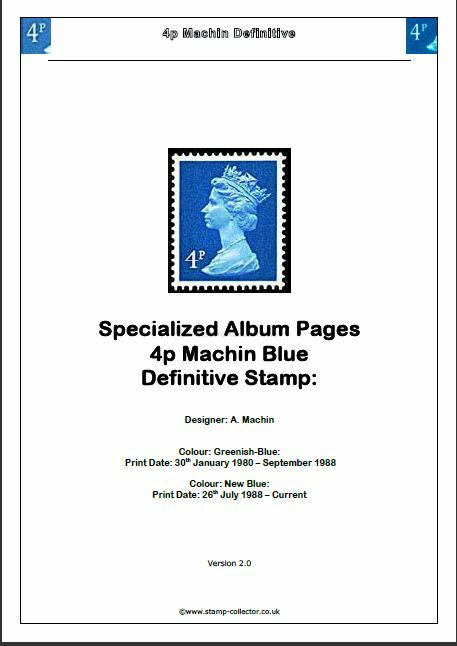 Contains 10 x "PERMANENT" Queen in Blue stamps.